Moreover, the cabinet of Belgian Foreign Minister Didier Reynders wanted the delegation to seek the opportunity “to inform the various candidates, including Saudi Arabia” about its support, despite the vote being secret. According to internal emails leaked on Friday by the Green Party, the Belgian Ministry of Foreign Affairs was informed of the vote at the 45-member UN body far in advance, and at least nine hours passed before it replied. Information about the US-called vote on Saudi membership in the commission was sent at 12:33am, and the ministry replied at 3:34pm. Given possible delays, “at the very least” nine hours had passed, UN Watch reports. 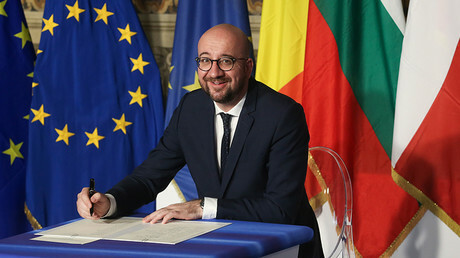 This contradicts Belgium’s previous position, voiced by Prime Minister Charles Michel, that the delegation was caught unawares by the sudden vote, and did not have enough time to consult with Brussels. Michel publicly regretted the move. The Belgian foreign minister also maintained that there had been some sort of miscommunication, as he said that he “personally” was not aware of the voting procedure underway.